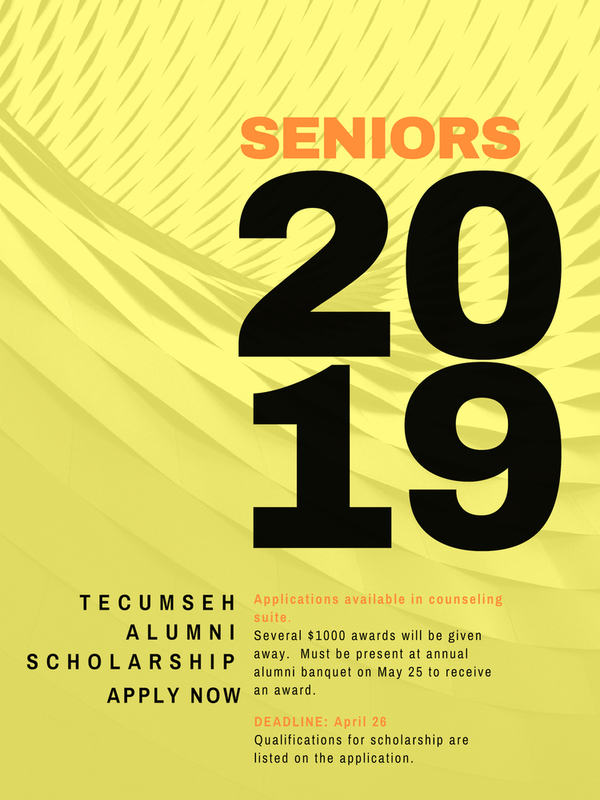 Class of 2019 seniors are urged to apply now for the Tecumseh Alumni Association Scholarships. Deadline is April 26. A detailed explanation of the scholarship qualifications can be found on the application which is available in the high school counseling suite.